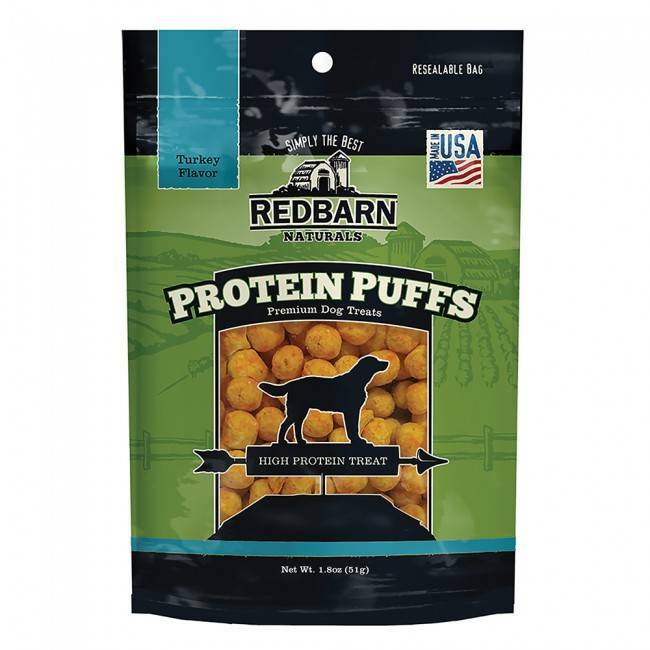 Redbarn's Protein Puffs are an innovative, tasty, and healthy treat for dogs! Our Turkey Protein Puffs are packed with protein derived from human-grade, milk-based caseinate, commonly used in health supplements, snacks, protein bars, and diet products. 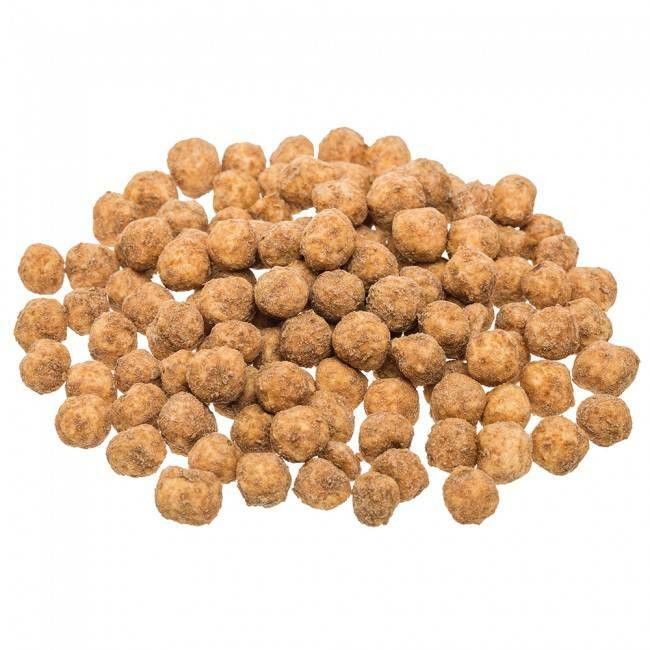 Redbarn's Turkey Protein Puffs for dogs not only offer 75% protein and less than one calorie per treat, but also fuel your pup with essential amino acids. Protein Puffs are the perfect treat, training aid, or food topper! Protein Puffs are completely free from grains, gluten, corn, soy, wheat, and artificial preservatives, flavors, or chemicals. Light, crispy, and crunchy, your dog will beg for more!